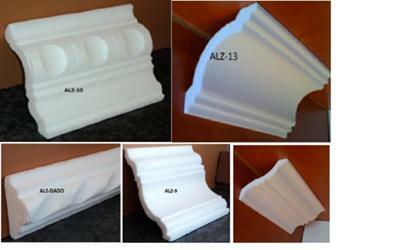 Our company - Zadek Polystyrene - based in Pretoria produces a wide range of polystyrene products at discounted prices. The products include cornices, insulation sheets, polystyrene shock absorbers in packaging and decoration. A building material shop owner and need an alternative supplier. An events coordinator and you need radical designs for your events props. A contractor and need to get build material customized for you projects.